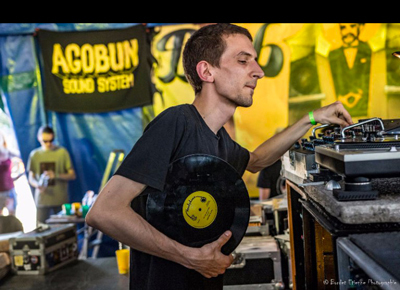 Soundsystem Reggae Roots based in Lille, Agobun was inspired by the local scene (Chalice, Coptic …) and Dub sounds from London (Abashanti, Shaka, Tubbys …). Over the years, the crew has built a solid underground reputation. At the BASS TEMPLE, EARLY DUB, LILLE DUB ALLSTARS and then WARRIOR CHARGE, Agobun Sound System is also regularly invited to Belgium and performs every year at the Lille Music Festival. Agobun is committed to providing high-quality sound that combines power and clarity and transmits an original vibe to every session. They currently record and mix their own dubplates with clearly Roots 80s-90s influences.